The one-size-fits-all approach to education has never been more outdated or irrelevant. Now thanks to the transformative effects of technology, learning has become something that can be tailored and personalized to suit individual students’ unique learning needs. Today’s learners, from primary school children to university students, are early adopters who respond intuitively to technological innovation.This can be seen by the fact that 37% of US teens have a smartphone. The same, however, can’t be said about those doing the teaching — many of whom were born before innovations like mobile devices and the consumer web came about. According to a recent study by Pew, 42% of the teachers surveyed said their students know more about tech than they do. Gone are the days when all that’s needed is a chalkboard and textbook to reach students. Educators who really want to have an impact are turning to technology and in many cases the results speak for themselves. A recent survey by PBS Learning Media found that 74% of teachers incorporated devices such as tablets in their lessons. The survey also found that 69% of teachers using educational technology said that it greatly enhances lessons and empowers them to teach like they’ve never been able to before. But it’s not just in the classroom where the effects of technology on education can be felt. Social networks have been abuzz with interest and excitement towards these changes. Everywhere from Facebook and Twitter to blogs and forums, where hashtags like #edtech and #edchat have a firmly established following, rich communities of educators looking for innovative ways to remain relevant can be found. Edtech, as this confluence of technology and education is known, is taking both on and offline worlds by storm and changing the way people learn. One of the biggest changes has occurred with language learning. 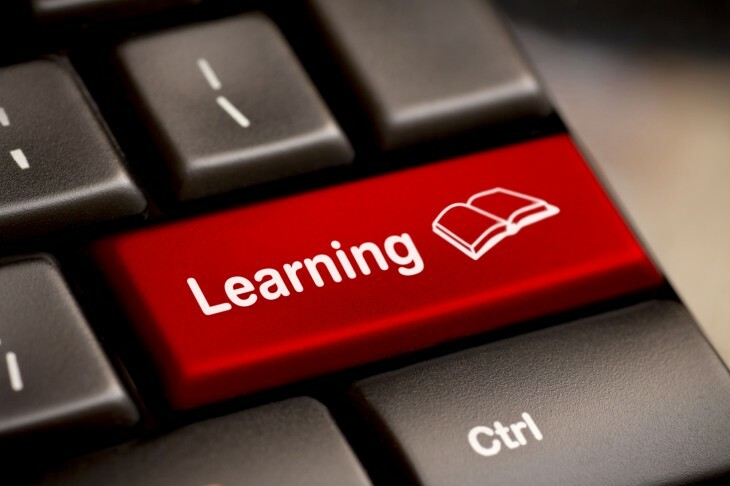 Technological innovations have turned learning a second language into a convenient and personalized experience. This can be seen with an English-learning app like Voxy, which provides a learner with lessons specific to his or her individual level, interests and goals. It also relies on things like GPS to send a learner keywords relevant to their current location. Other novel features include image recognition where after snapping an image a learner will be sent back the correct word for the snapped object. But it’s not only this impressive technological sophistication that makes Voxy’s approach to learning so successful. It’s the fact that at the core of this platform is the idea that every learner is unique. Tailoring learning to the individual is something technology makes possible. A more individualized approach to learning keeps students engaged as the content of the lesson is more likely to resonate with them. This is especially true in the case of university lectures which would be more effective if more students could find a way to better relate to them. One platform, known as Top Hat Monocle, is doing just that. It’s an interactive response system which turns lectures into dynamic and interactive spaces encouraging all students to participate by answering things like polls, quizzes or even multiple choice questions. Feedback is given in real-time and each student’s progress and understanding of the course work can be tracked individually. This revolutionary approach to learning is not unlike the flipped classroom model which is becoming increasing popular. This is based on the idea that students shouldn’t be passively lectured to but encouraged to actively participate in the learning process. This also ensures that all students learn at their own pace. With the flipped classroom, learning takes place via videos and teachers are there to supplement and reinforce the content covered in the videos. There are several online sites based on the flipped classroom model. These include Khan Academy as well as Coursera (which was founded by Stanford computer science professors Andrew Ng and Daphne Koller), both of which provide free online courses and easy progress tracking. Khan Academy fits perfectly into the flipped class model and can be used by parents and teacher to evaluate a student’s progress. The Khan Academy videos can be used to reinforce and supplement an already existing curriculum. Knewton, a platform which offers students a more personalized learning experience, found that after implementing the flipped class model only 19% of freshmen failed English — this down from 50% who failed before the flip. The same can be said of math, where only 13% of students in a flip class failed — down from 44%. Coursera on the other hand is more about the democratization of education. It provides anyone with access to quality education from some of world’s top-notch universities including Yale University, Stanford University, Rutgers University and Columbia University among others. Each course offered includes continuous assessment throughout the semester. Many of the courses also offer forums and other interactive spaces to discuss course content, in a similar way to the flipped classroom. In a similar way to Coursera, 2U aims to make university level courses more accessible – but instead of offering courses for free to the masses, 2U partners with select universities and helps them bring their entire degree programs online. Real degrees, real credit, real professors and real tuition (the same that on-campus students would pay). This means a student who may have trouble relocating to North Carolina but wants to attend a top 20 MBA now has an option with MBA@UNC (or one of 2U’s many other programs, which range from a masters in teaching at USC to a masters in nursing at Georgetown). Using a melting pot of technology assembled by the company’s CTO James Kenigsberg and his tech staff of over 50, 2U transforms the university campus and lecture hall into a highly interactive, social and learning-oriented environment. The digital medium appears to be what students what; a recent study conducted by Millennial Branding, a research and management consulting firm, found that of 1,354 students surveyed 50% felt that physical classrooms weren’t essential for learning. These are just a few of the dozens of companies showing how technology is a highly disruptive force changing when, where and how people learn. The edtech revolution is challenging some of our core practices and approaches, and is paving the way for a more dynamic and nuanced approach to learning that we will all benefit from.